Posted by Pearl Realty on Tuesday, November 8th, 2016 at 11:36am. It’s 2016, and home prices are rising near the levels of the housing market just before the crash. Many are asking—and wondering — if we are in some kind of housing bubble. But are we? 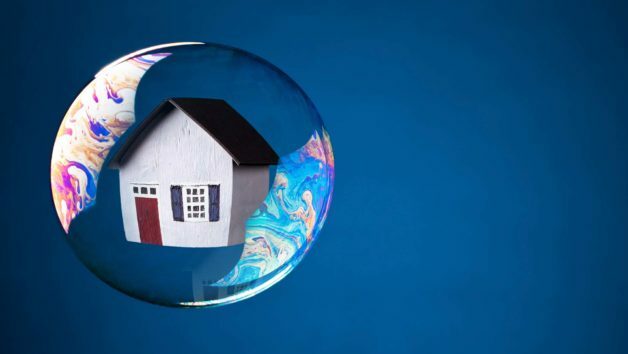 Here are a few things to consider if you’re worried about another housing bubble. Unemployment is low, wage growth is strong and the tech sector is hiring in droves. The Federal Reserve raised interest rates last December, and they’re likely to raise rates again in the near future as the economy continues to grow and evolve. Despite what many will tell you, getting a mortgage can be intense. It requires full documentation, including tax returns, pay stubs, letters of explanation and thorough due diligence. As long as strong requirements remain in place to secure financing, one thing is for sure: A financial collapse, if it does happen, likely won’t spawn from abusive lending practices. Let’s say you’re putting off buying a home because you’re worried about another financial crisis. If that’s the case, you need to define what it is that you are most concerned about. If you’re concerned about your job and the future of your income, that should play a bigger role in whether you buy a home. If your financial house is in order, but you are still not sure about buying a home because you’re worried about the market being in a bubble, you should ask yourself, “Why am I buying a house to begin with?” If your intention is to buy a house to capitalize on some market appreciation and then quickly turn around and sell, well, then, yes, you should be concerned about not being able to recoup your investment, as real estate is a long-term hold vehicle. If, however, you are looking to purchase a home to have a roof over your head, enjoy the home, and live there for the next five to seven years, at a minimum. You may do very well for yourself. This also includes the additional tax benefit you’ll have that you wouldn’t with renting. Ultra-low mortgage rates have been around for the last few years, so at some point interest rates have to go up. The question is when. If you’re trying to purchase a home and you are qualified at a 3.625% 30-year fixed rate, for example, and interest rates rise to 4.375%, you may not be able to qualify for as much house. Rising rates also means fewer mortgage loan originations, which means profitability in the secondary market diminishes. The only way to keep profitability going is to keep the engine running with new loan originations, and the only way to do that in a higher interest rate environment is with less restrictive underwriting. Looser credit to the degree of the financial crisis is unlikely, given regulations that were introduced in its aftermath, but it may lead lenders to extend mortgages to applicants with slightly higher debt-to-income ratios on conventional loans or to show a bit more leniency to self-employed borrowers, for example. That’s the only practical way to offset rising rates while supporting the housing market. So, should you buy a house or not? That depends on whether you are comfortable with the interest rate and the payment that you’re getting, and whether you feel that you can afford that payment for the long haul. If you can afford the payment and your estimated property hold time is for a while, you’re likely in a safe position. If you’re unsure about the future of your finances, perhaps buying a home right now is not in the cards. Remember, too, purchasing a home requires a credit check, so it’s important to know where yours stands before starting the process. You can view two of your free credit scores, updated every 14 days, on Credit.com.